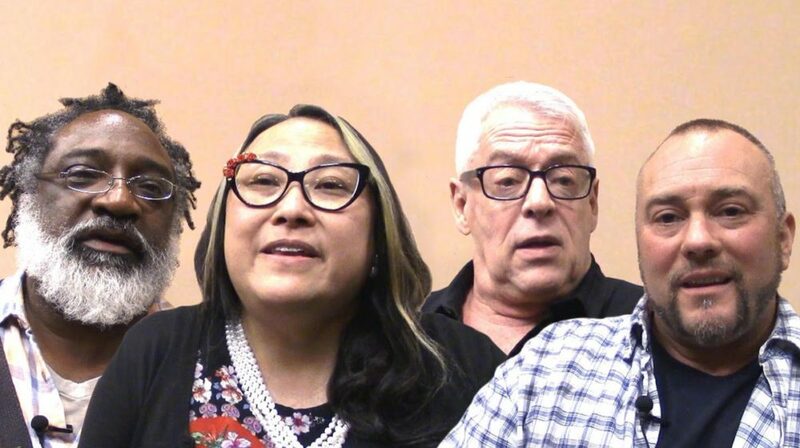 Just in time for the annual HIV Long-Term Survivors Awareness Day on June 5, The Reunion Project has released a new video in which people who have lived with HIV for decades discuss their legacy. It’s quite a remarkable thing, watching a parade of courageous faces as they consider what they have accomplished since the pandemic began. But let’s allow these incredible survivors to speak for themselves. The video was produced from interviews conducted at a summit hosted by The Reunion Project in Palm Springs, California. The group has held several weekend summits around the country for long-term survivors. The events consist of a mix of facilitated discussions, panels, and presentations led by key researchers, advocates, and long-term survivors of HIV and AIDS. It is supported by Bristol-Myers Squibb and Test Positive Aware Network, The Reunion Project has been to Chicago, IL; Palm Springs, CA; Philadelphia, PA; and Ft. Lauderdale, FL. Another video created from the Palm Springs event was released two months ago, in which a different mix of long-term survivors discuss what they believe has contributed to their longevity. History often repeats itself because nobody took note of it the first time around. By producing videos like this – or every time someone living with HIV tells their story to an audience of one or a hundred – we are preserving something precious that has real value. Check out The Reunion Project site or Facebook page for news and upcoming events. Their answers seem all over the map to me. Which is totally fine. Just saying I don’t see a common thread here. One of the things that I thought was so sad, was in an article after Alexis Arquette died around the Age of 50. I think in the article it said she became HIV positive at around the age of 18. And that was back when it was assumed to be a death sentence. And I was thinking about before this person’s life has even started, they were handed a potential death sentence, and even when the better medications came out, they hadn’t been able to have the same young adulthood etc… and it just sounded very sad. This disease has been decimating people for way too long. Hep C suddenly got a bunch of media attention when in under a decade they had a cure for it. I’m finding it very hard to believe that bigotry or racism isn’t playing some part in how long this disease has been around. If the Koch brothers and their kids, or the Waltons and their kids had HIV they probably would have had a cure 20 years ago. The HEP C cure is still ridiculously expensive though, and patients hoping to obtain it need to already have significant liver damage to qualify under most insurance.